Here is some history of the car. 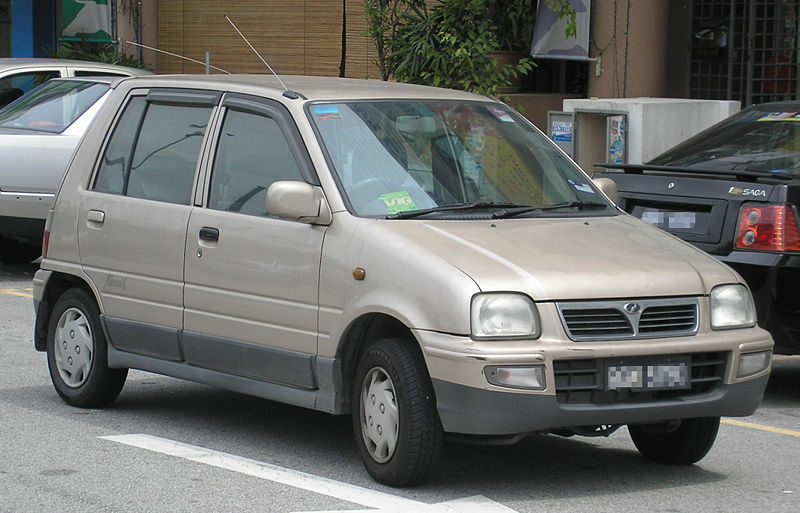 Bought by my sister back in 1999 from one of the Perodua car dealer. Started of it's life with a 660cc engine and coupled with a 5 speeds manual gearbox. The engine started to give way after working hard to serve my sister for 11 years and recently my sister just bought herself a new car, so the car is use by my dad as his daily ride. The main problem of the engine is that it can easily overheated after about 20km drive with an average speed around 80km/h. Did a flush for the radiator and change the coolant but the result is still the same. Thus, the only thing that I can think of is the gasket causing this overheat issue. Besides that, the clutch of the car never been changed since day 1. After some consideration, which knowing that modifying a 659cc carburetor 31hp is just a kind of modification that does not worth the investment. Therefore, the plan is to convert the car to a better looking bodykit and a better performance engine. This time Daihatsu Mira L200s bodykit is chosen for this project. Follow closely on the updates of this project car. Hi. I,m a 10 year old kancil 660cc owner and probably have the same problem. Did changing the gasket solve the problem for your kancil? Hi, for my case yes. It is the gasket that causing the problem. You can diagnose your car with some simple steps whether is it the gasket problem. Warm up your car and open the radiator cap, if you see a lot of small bubbles means that it is the problem. If the problem still exist, try to change to double layer radiator.